Coming across Rabbit Nose Apothecary was a dream come true. Not only have I have been working hard to eradicate cruelty to animals and to the planet from my beauty routine, but I’ve also been more aware of buying from small, independent and local sellers. Rabbit Nose ticks all of these boxes. All of their products are 100% vegan, not tested on animals and only contain organic ingredients that are natural and don’t damage our environment. And, they're a Hull-based company. 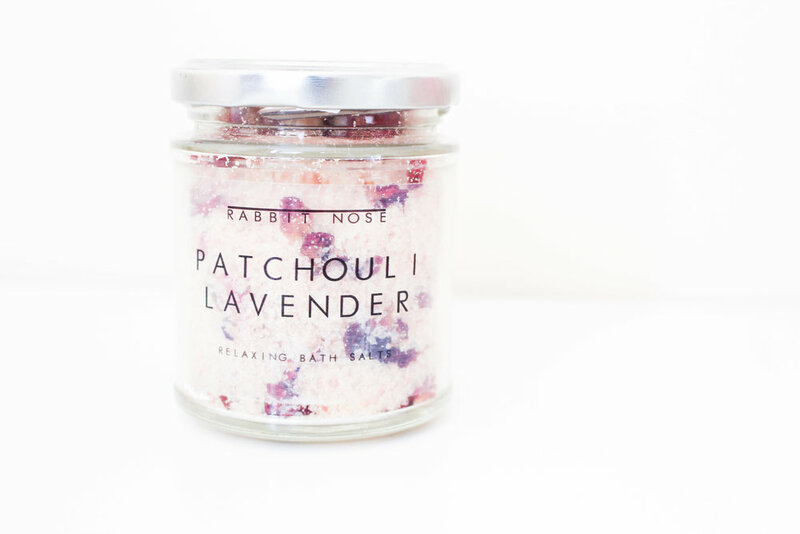 The Patchouli Lavender Bath Salts are perfect for this time of year. This stress-relieving product is just what I need after a long day at work and a dreary, cold commute home. 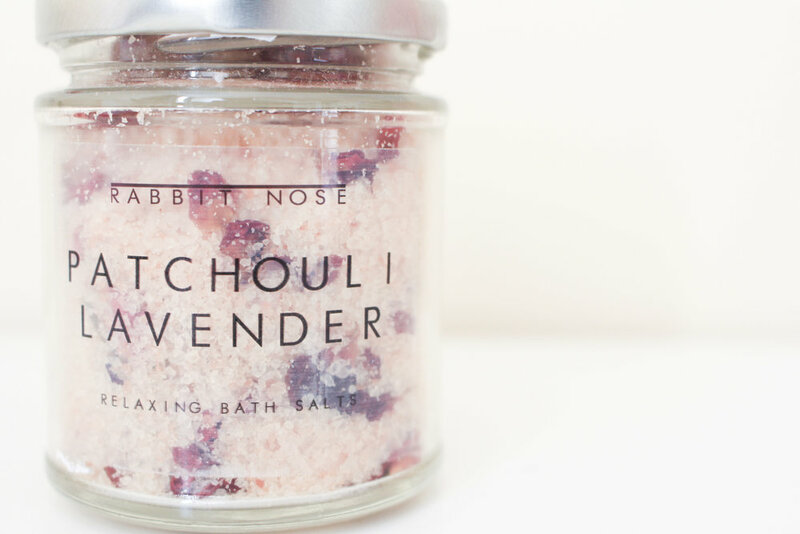 Made with three essential oils (lavender, patchouli and chamomile) combined with dead sea salts and pink Himalayan salts, this delicious concoction is specially designed to help you relax. 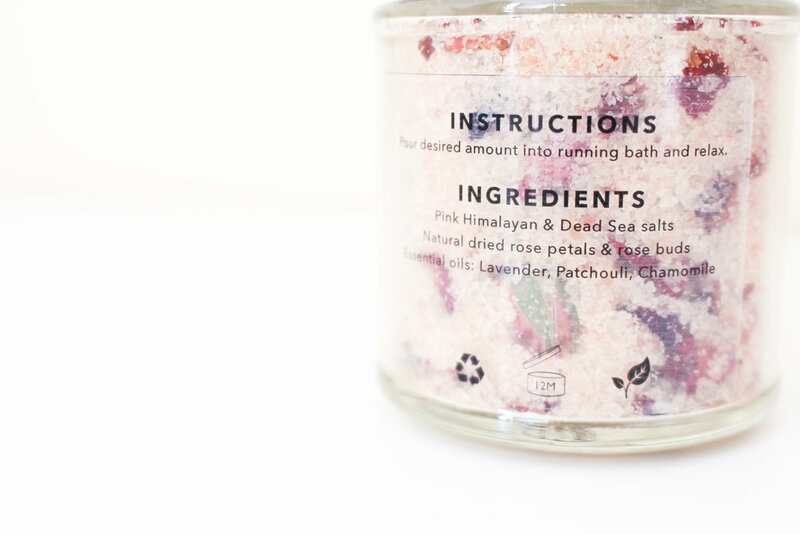 It also has rosebuds in it to give off a wonderful scent and make your soak feel extra luxurious. I was very excited to try them out, as I don’t think I’ve ever used bath salts before. 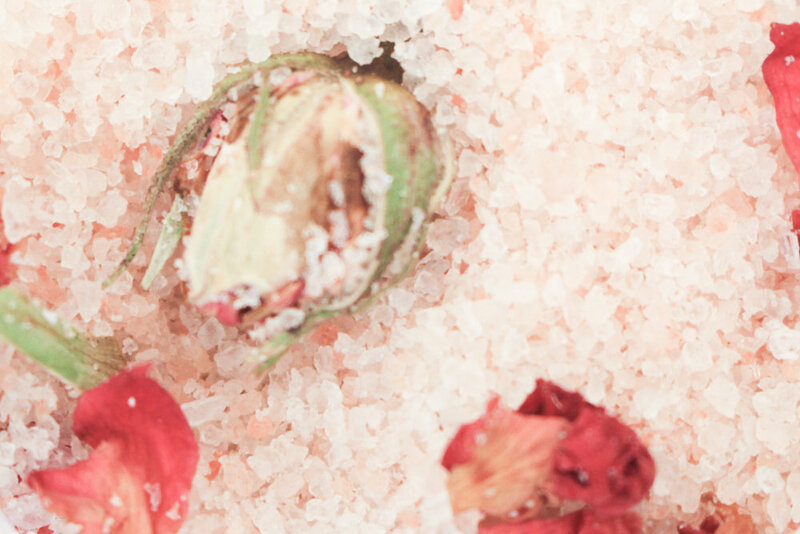 They dissolve quickly and gave off a beautiful aroma and pink-hued aesthetic to the bathwater. I must admit the novelty of the rose petals wore off quickly and I ended up picking them out! However, because they are quite big, they can be picked out with ease before you pour the salts into your tub. Overall I am in love with this brand and I may even be treating some of my friends and family to a few of their products.